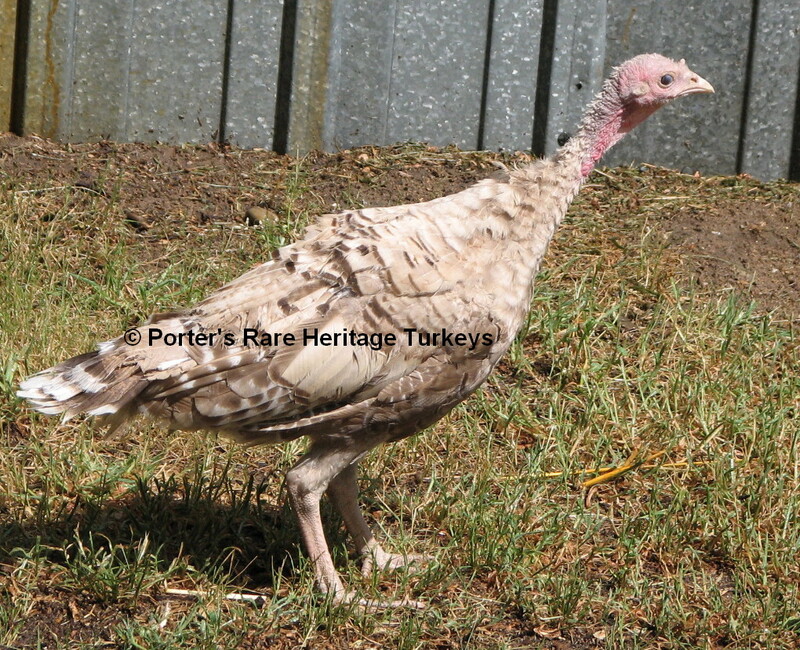 Formerly known as "Light Brown"
When a turkey is genetically both brown (e) and narragansett (n), a light brown phenotype will result (Asmundson 1950). 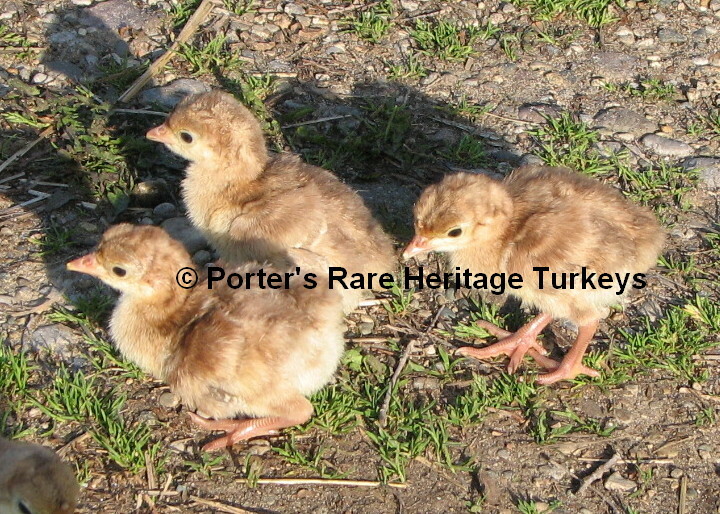 The down color of the day old poult is essentially indistinguishable from brown(Auburn). 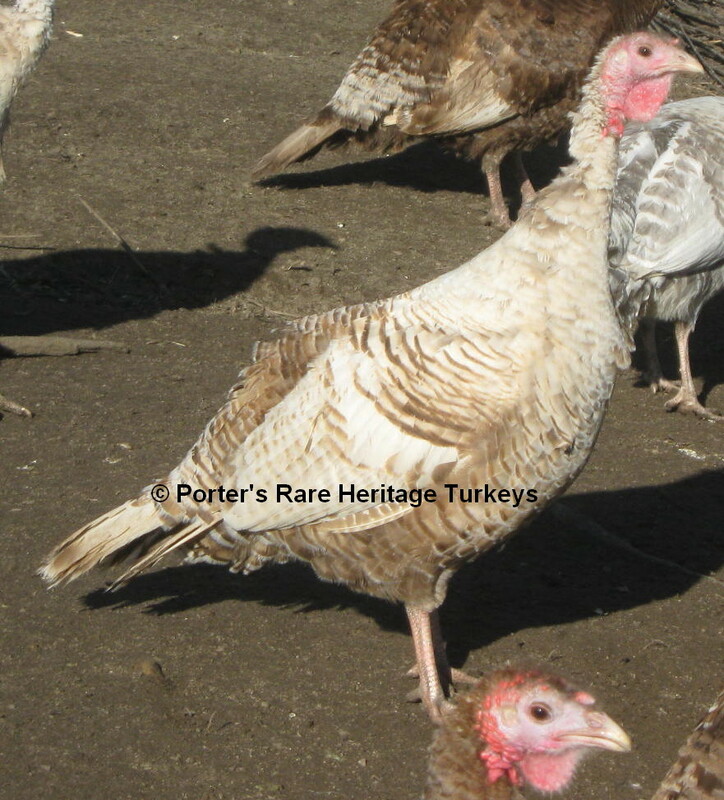 But the adult plumage color results in a substantially diluted brown pigmentation resulting in a light brown color, as seen in the Silver Auburn variety." 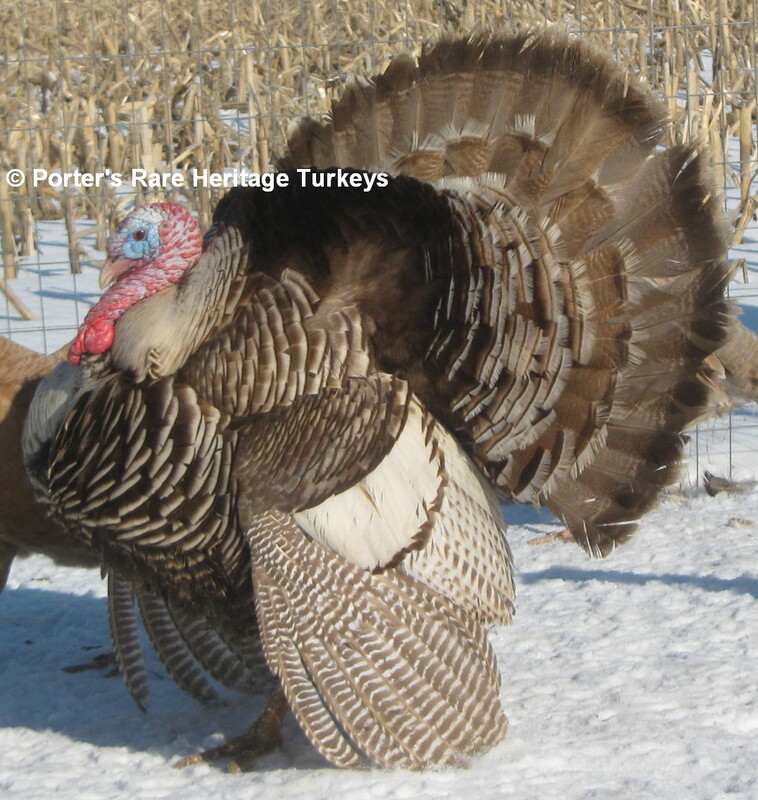 At first glance this sort of looks like a Narragansett but look again, it is a bit paler, look at the dark band at the end of the tail feathers, it is brown not black like in a normal Narragansett. All black edging is diluted to a brown coloration in this extremely rare variety by the presence of the (e) brown gene. Initially when this color pattern was first described it was called light brown. Their genotype is (b+b+eengng) for toms and (b+b+e-ng-) for hens. Bronze base, modified with brown and narragansett dilution genes.